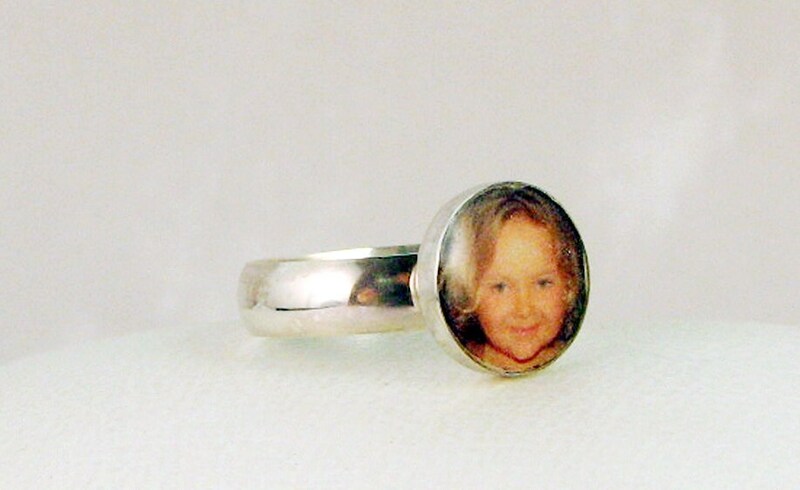 This listing is for a round, 10 mm photo tile ring shown above in the first photo. 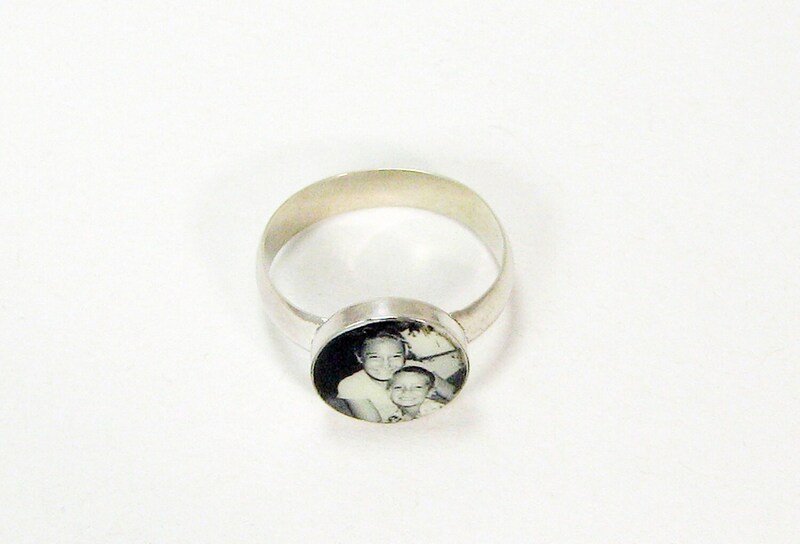 Your photo is digitally transferred and baked into clay, then sanded, sealed and mounted in this sterling bezel. Available up to size 9 in this listing; for larger sizes simply request a quote. 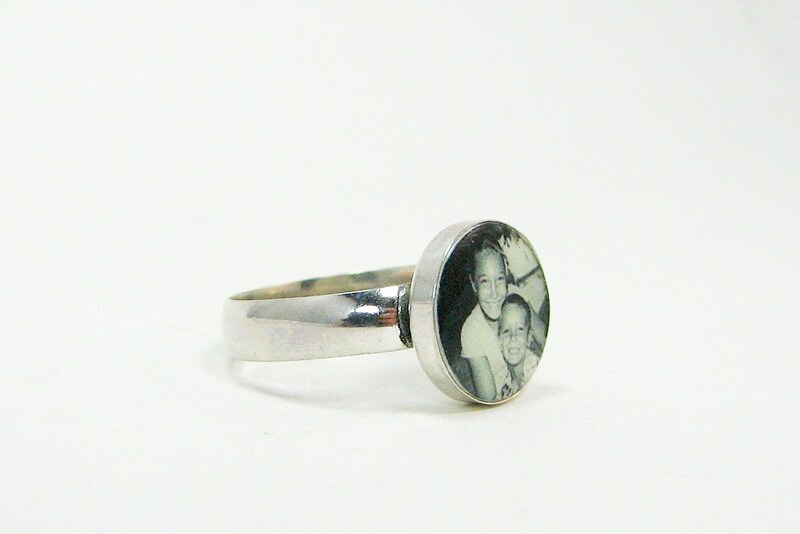 The 3rd, 4th, & 5th photos above are of a 12 mm ring found here: https://www.etsy.com/listing/173924349/c3rr-custom-sterling-silver-photo-tile. *This listing is for one ring. 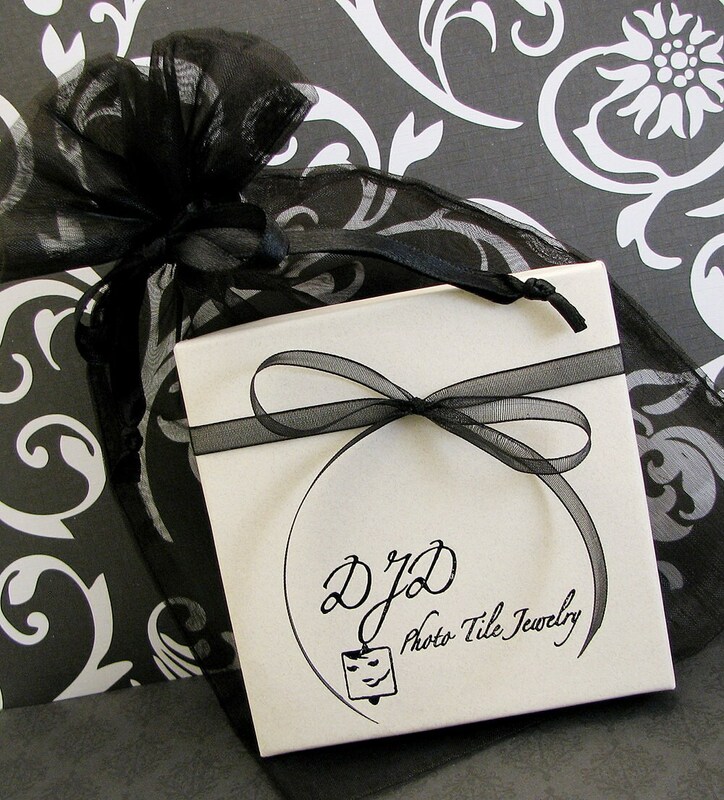 Send a request to DJD [!at] Q.com for a quote with a quantity discount. No order is too large.